The Agency strives for gender equality. To achieve this, it is working toward increasing the number of women in its professional and higher staff categories and to implement gender mainstreaming into its programmatic work. 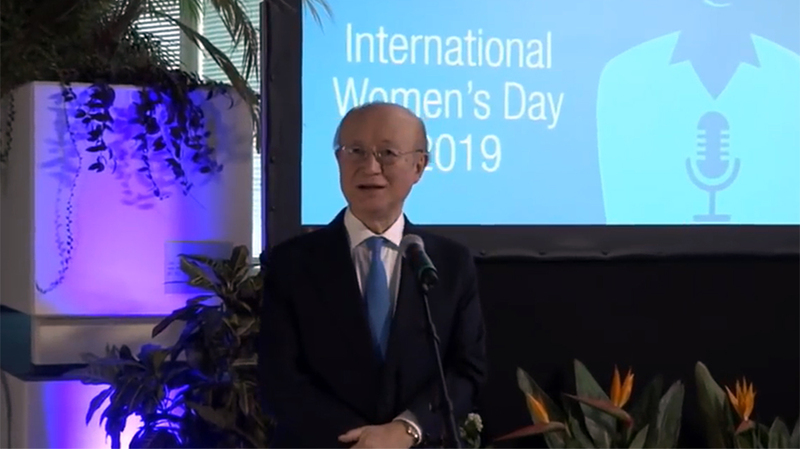 The IAEA is committed to achieve gender parity in all its staffing categories. For this reason, it is looking for enthusiastic and motivated individuals with a background in science, technology, management and administration to join its growing ranks of professional women. These measures include promoting the involvement of women scientists in the IAEA’s coordinated research programmes and technical cooperation projects; holding career seminars for students to encourage more women to choose careers in nuclear science and technology; and paying special attention to creating a family-friendly work environment that allows staff to combine work and family responsibilities.